Charitycup's Blog | Make Life Count! We are coming into a season of celebration. Starting Thanksgiving and into the Christmas this is “the most wonderful time of the year”. Families join together to celebrate the promise of eternal blessings trough Jesus Christ. This is a big news for many still. Across the world there are people who never heard or never could afford to hear and enjoy the promise of forgiveness of sins and salvation in Jesus Christ. For these, an eternity of perfect joy and happiness doesn’t seem possible. Yet, from now until Christmas we will present to you four stories that we had the pleasure of witnessing trough God’s grace in 2014 because of your generosity. Hope is never to far away when you put your faith in Christ’s hands and join His work. This is our way to Thank You for your support and encourage others to join Charity Cup in ministry in 2015. My name is Liviu (Lee) Muntean. 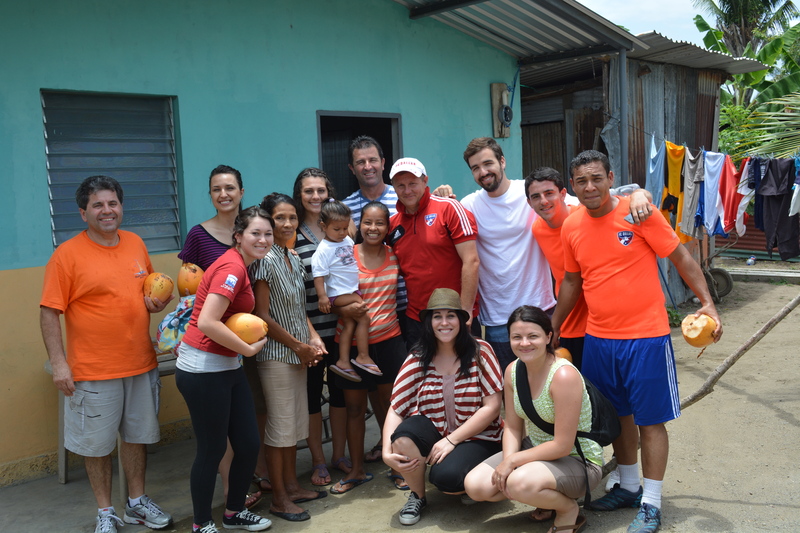 I first heard of the mission trip to Honduras with Charity Cup in January 2013 and went on my first trip in May 2013. Honduras is a beautiful country and the people we met were very warm and friendly. I did not want this trip to be just another mission trip that I go on but I wanted it to have meaning, purpose, and impact. I started to prepare and get myself ready for it. I got all the shots done, and got my passport and all the necessary documents ready. I went with an open heart ready to serve wherever God would use me and indeed He used me! I served in putting care packages together, driving the minivan, and helping with Vacation Bible School (VBS), but God had a more specific area of ministry planned for me during this mission trip. As the week progressed, our team leader Clementin told us that an opportunity had come up: our Ministry Team could go into two High Schools and teach the Purity or Abstinence until Marriage Curriculum. In years past, our team would teach it in a Co-Ed setting, led by girls, which was very uncomfortable for the students. Speaking with Clementin one night he asked me if I would be willing to teach the boys’ part of the program and split the program into boys and girls, and I said yes. God truly worked during those sessions. The boys were very relaxed and we were able to talk about sexual issues and abstinence very freely and with great success. Only there and then I realized and knew the specific part God had prepared for me. I did not go on that trip with that task in mind but I was ready and willing to be obedient to what God would want me to do. For me the entire trip was one miracle after another. I am excited for this year’s trip and looking forward to continue to teach the Purity Abstinence Curriculum to High School boys. Our theme for this Year is “ True Love Waits”. If you are thinking of going on this trip I promise you one thing: you will be changed for the better. I thought I went there to help people in need and I did, but I got so much more back in return. As a team we were able to attend some Church services. The presence of God was amazing and so real every step of the way. So pray and make the decision to go and have faith that God will provide the funds for you to go. I know without a doubt if God wants you to go He will also provide the means. You will never regret going and your life will be enriched by this experience. My God bless you all and hope to see you in Honduras. Liviu (Lee) Muntean is one of the volunteers that took the challenge and joined Charity Cup in Central America Mission Trip in 2013. Slam! The truck tailgate swung closed as the last item was loaded and immediately thereafter the long overdue raindrops began to hit the hood of the truck. It was amazing, a direct response to prayer; God held up the rain and freezing weather for two weeks until our first Charity Cup Tournament was wrapped up. Looking back now, 15 years to the day, we believe even stronger that it was God that answered prayers that 97’ fall when HE held up the rain and freezing weather in Oakland, Michigan just enough for some youngsters to finish their work. What work am I talking about? Well it was the debut of the ‘first’ Charity Cup Tournament, unbeknownst to us at the time, since the only thing going through our minds that cold night was, ‘we’re glad it’s over and we will never do this again’. 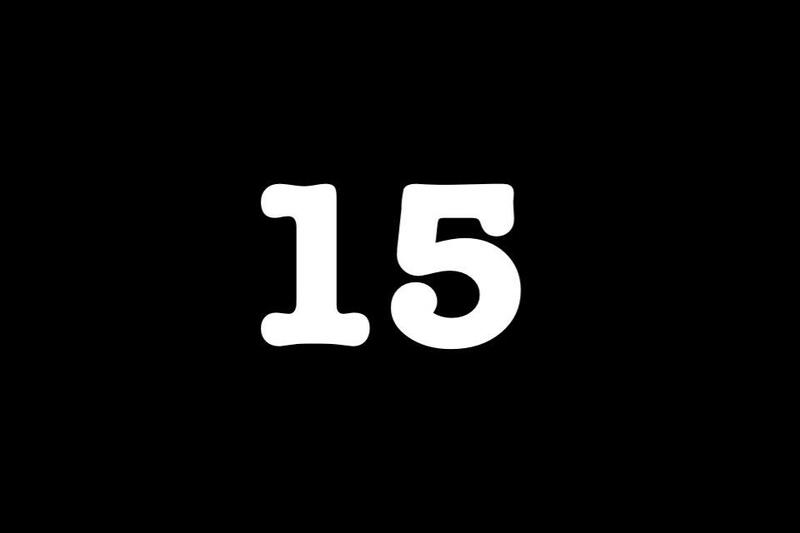 We raised an unprecedented $1500 in an unorthodox way to be used in providing shelter for homeless kids at the House of Hope project, yet the trouble we went through to see the tournament succeed seemed too overwhelming and not worth it in the end. Our energy was depleted and our weaknesses exposed. Thank God that it’s precisely in our weaknesses that He delights to show up. Our Church youth was approached by the RBYA to help raise funds for this homeless kids shelter in Romania which would cost $10,000 to build (at that time). What could a few youth do to even put a dent in the lofty challenge before us? Not much, the disciples would say… after all, what’s two fish and five loafs of bread to such a great multitude? Seriously. We looked around the room, much like the disciples probably did in their time and said, what do we have? In a few days we had the answer. As all Romanians seem have, we too had a soccer ball which we used every week play recreational soccer at the park. We brought that ball (talent) to Jesus much like the disciples did their five loaves of bread and fish, and He multiplied it. Although we had no intention in doing a second edition of that tournament, what started out in 1997 with just five local soccer teams soon grew and by 2000 we had 40 such teams participating throughout the US. In that same year we incorporated our charity organization now known as Charity Cup and we were off for a God sized adventure. God slowly began to form a team of people around this “ball” that were passionate about using it to help other ministries reach people for Christ, rich or poor alike. They say that the secret of a moment is that it’s small enough to miss it but big enough to change the rest of your life, or the world, in some cases. Here are a few of the key moments in Charity Cup’s 15 year history. – DIVINE MOMENT: a key merger with Mission One ministry (a west coast group of movers and shakers who coincidently began their activity around the same time we did)makes the MONUMENTAL impact and CC begins its greatest assent. – Over 40 teams participate spanning many states. – 2nd DIVINE MOMENT: CC is introduced to Adrian Ambrosie, a former Professional Soccer player in Romania who later becomes a major influence and key member of the CC Founding Leadership Team. – Team Participation continues to grow past 40. – Together, with the new formed merger with Mission One and Adrian Ambrosie, Charity Cup plans its first Mission Tour to the Republic of Moldova and Romania. 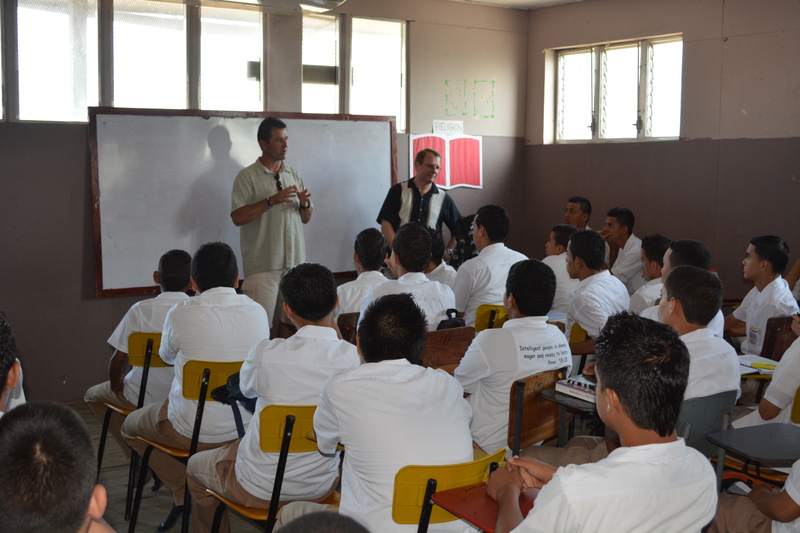 – The tour reaches out to over 300 young soccer players with the Good News. – Tournaments continue in Detroit, Atlanta & Los Angeles. – Mission Tour 2 gets underway with the addition of a Volleyball camp for girls. – Benefit Dinners get added to the list of Fundraising events. – Mission Tour 3 explodes with more ministry projects joining, now including: Soccer camp, Girls of God Camp, Orphans Camp, Operation Village, and Medical Ministry. – Under the leadership of Adrian Ambrosie, a group of young movers and shakers in the city of Iasi calling themselves NAVOBI unites under the vision of Charity Cup. – Around the same time, AZTAG (Arizona Taking Action for God) group, bring major reinforcements within the Charity Cup team. – An official Board of Directors for Charity Cup is formalized. The founding members of the board consist of George Puraci, Anca Husu, Daniel Herdean, Daniel Bora, Adrian Ambrosie, Daniel Banu, Lavinia Matesan and Catalin Iuga. – Benefit dinners & Soccer Tournaments continue to be the key events for fundraising and more. – Mission Tour 4 experiences more growth in participation and impact as many come on the mission field and many more get to know Christ. – A paradigm shift happens in our leadership as new leaders step up in key positions throughout our organization. – The Orphan’s ministry, Timothy & Esther, is founded and begins to change destinies for many orphans who have left the orphanage with no place to go. – Mission Tours continue and reach new heights in participation and projects. Over 250 participate from many countries. – God begins to plant the thought of a new CC adventure called a Ministry Incubator which would focus on providing mentorship to leaders willing to start new ministries. – All of the current ministries thriving and expanding their centers of influence around the world. Full time staff working around the clock to fulfill the purposes of God through each particular ministry. – 1000 teams participate in the soccer tournaments around the world. CC League becomes the largest Amateur Soccer League in the world. – The CC Incubator produces 5 new leaders and ministries that are thriving. What began with a simple soccer ball, in the past 15 years has turned into nine Ministries and thousands of people being impacted for Christ. In the next 15, with God’s help and your support, we have the desire to reach millions more thus hastening Jesus’ second coming. In the end, and for eternity, that is all that will matter. Stand with Charity Cup as we make our lives count. This THANKS GIVING, as Charity Cup we are obviously thankful for God’s protection and guidance in the last 15 years. On a more personal note, we want to be thankful for the little things that we take for granted, just as in our history, something small became much more significant, so it is in our lives, it’s the little things that we take for granted but they make life work. This THANKSGIVING let’s count those things, and be grateful for them. 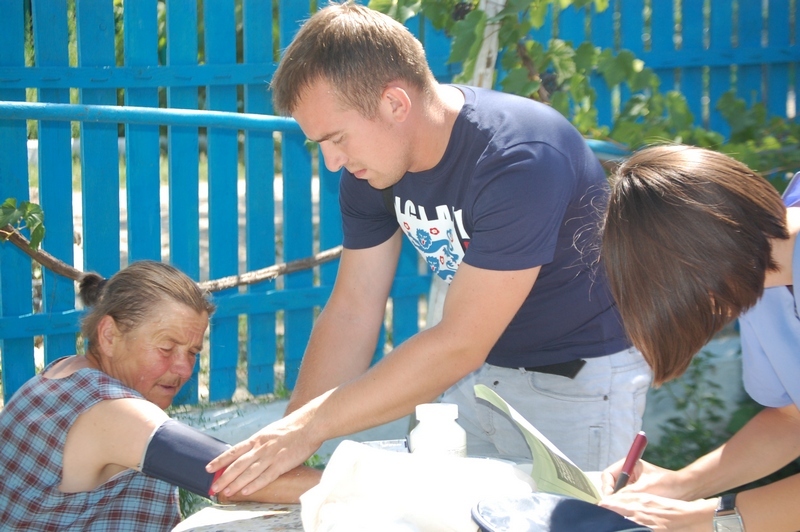 In the month of July 2012, Charity Cup had a short term mission in the Republic of Moldova. This mission focused on 3 new places: the villages of Glinjeni and Ghindești and the city of Bălți. One of the project was Vacation Bible School for children. Part of this project’s team (people from Romania and Moldova) kept going back to these places, regularly, after July, to keep in touch with the people and children they met. Their last visit was last weekend. Ana was one of them. These are her impressions after a weekend spent with the children in Glinjeni. I understand that God could use other people to do this work with the children in Glinjeni, but still, I know that He chose to use me. I know that He has placed in me a desire and a gift for these children. I enjoy every opportunity to serve them and you can just see that God cares about them and all the people in Glinjeni because He gave us the opportunity to help them. Very often I see myself in the lives of these children when I play with them and I just try to understand them and serve them in every way that I can (be it a hug, words of encouragement or a smile, or a joke to make them laugh). Sometimes, it is hard to see the results of what we are doing, but from time to time, when a child comes to me and tells me: I remembered what happened during the summer!, then I know that we had an impact in his life. One day, a girl came to me and told me this sad story about how bad their father treats them and I think the Holy Spirit helped me feel her pain and be sorry for her, so much that I understood her more. I could see that besides helping them practically with things, we can also share about Jesus by supporting them in hard times. I go back because I know that God loves the village of Glinjeni. I can see that through the people He sends there to do His works. Since we have been ministering in this village, I have learned to love the children, even though I am still learning all their names. I have learned to care more for them and I am also more motivated to tell them about Jesus. I have been thinking that a young tree can be channeled how to grow, but as it grows more and more and the strain increases and thickens, it cannot be bent and straightened as easily or at all. God promised me one thing: when we seek to multiply what we sow (Job 5:25), we need to do the work first, give a hand to the ministry in everything that we can and work alongside it according to its vision. Ana Gongeriuc is from Tarnova (Rep. of Moldova) and first heard the Gospel in a Charity Cup mission trip in 2002, in the same village she comes from. It was the year that CC also planted a church in Tarnova and she has been a part of it ever since. She has been involved with the VBS project for the past years. 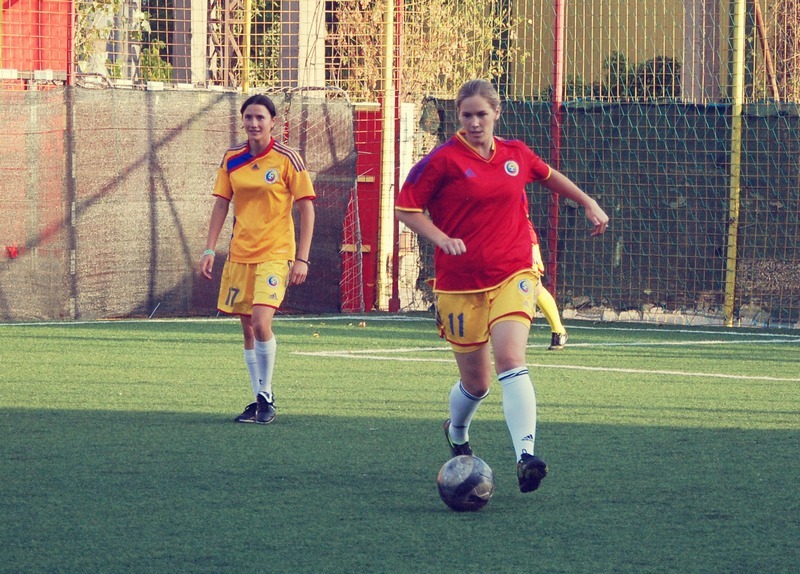 Cailin Puraci came to Romania to serve at the Navobi Sports Club through the gifts she has, and that is to play soccer and be a witness for girls who do not know God. It’s a big sacrifice. There were many things I foresaw as being challenging for us. But the biggest problem we actually had was hitting a very complicated bureaucracy to obtain her residence and work permit. We had information that changed every time I went to Immigration. We were also given conflicting information about how to legitimize her as a soccer player in Romania. Costs are skyrocketing. I tried all possible ways to find solutions to legitimize her, but I failed. We hit too many obstacles. Both Caitlin and us, as a Club, seeing all doors closed, have resigned and took things as they were – Caitlin should return home in October. But two nights ago, I woke up suddenly at 2.30 am. I had this thought that would not let me sleep. After that, I could not sleep at all and in the morning we started the process all over again. We got her green card, medical papers, work contract and with all these, Iliuta (the assistant coach) went to Bucharest. After a long battle with the Soccer Federation, we finally managed to get Caitlin officially and legally on the team for the game we had last Saturday! I kept being troubled by the thought that I’m nothing, nobody. ‘What could I do for you, Lord?’ In response, I felt a question rising in my heart ‘What did I make the entire universe and the beauty of the sky out of?’ “Out of nothing”, I replied. ‘Then allow Me to build Myself a masterpiece out of the nothing in you’. Following a discipline of fasting and prayer in advance of the two-week mission trip, our eyes were able to witness a “spiritual big bang”. I witnessed people being touched by the Lord’s Spirit in taking a decision for our Savior. It was surprising to see God at work when we visited a French teacher and also a well-situated family. Initially, we thought that these people of all would be reserved about hearing the Gospel. By discussing with them, we could see the power of the Gospel piercing their hearts and showing us, once more, that our assessments of people and situations can be wrong and only by faith we can see the beauty of His glory. Sometimes only a few words, inspired by the Spirit, can bring a renewal of the heart. I encourage the youth to go out into the mission field, waiting to be surprised by the greatness of God’s power. “He makes his messengers winds, his ministers a flaming fire” (Psalm 104:4). Burning for God’s work in the fire of the mission field, God will transform you into His worker. Searching for Him intimately, profoundly, He will reveal His thoughts and share of His heart with you and you will never again be unmoved by such a wonderful work! Andrei Strugariu is from Iasi, Romania, and is a volunteer in Charity Cup ministries both in the Republic of Moldova and Romania. He has been involved in the Mission Trips in the Medical Project, as part of the Home Visits teams, sharing the Word with people and giving them medical help. Being part of the Girls Of God project in Moldova was an experience that greatly impacted me because I got to witness God capturing the hearts of so many girls. I was struck by the maturity of the girls that we were working with as well as their thirst to know Jesus. I realized they were like this because even though they were young, they had already been through so much. Each had their own story: raised in poverty, abusive parents, neglected, and some from orphanages. They all suffered the consequences of living in this broken and sinful world. We had the honor of sharing the good news of Jesus Christ, and the restoration and healing that He brings. We taught them what love means, what it means to have a relationship with Jesus, and where we should find our worth and identity in. On the first day, Vica, a 14-year-old girl from Balti, seemed to have a hardened and angry heart. But as the week progressed, she learned about God and His love for her, and I could tell that she was hearing it for the first time and it was penetrating her. Every day we could outwardly see the way God was changing her attitude and softening her heart. By talking to her later on, we realized that she learned that she is God’s daughter, chosen and loved by Him. She learned that she is forgiven because of Jesus. On the last day the tough girl with the hardened heart had tears rolling down her face and had accepted Jesus as her Savior. That’s just the beginning of one more love story between a girl and Jesus; but so many more were started. In the Moldova Mission Trip, Julia Dirnu has been part of the Girls of God project.